Sometimes stories begin before we realize they do. Sometimes these stories will change your life. Sometimes they are the rest of your life. Sometimes they become your past. Sometimes they stay your present. 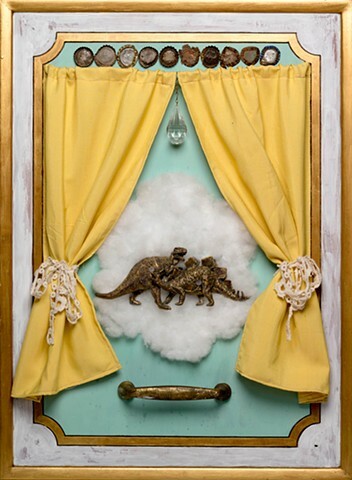 Salvaged wood and fabric, acrylic, found objects, commercially manufactured plastic dinosaurs.